Banging the world against my head daily…. I just read a great article on the PS Vita. It made me realize that I am not alone. I hate the PS Vita because I don’t know what the hell it is. And apparently, neither does Sony. It really is a neat little thing. Next Gen graphics on a nice hi rez screen. Some great games. Wifi and Cellular data access. Email, web browser. Chat. Touch screen. It’s an MP3 and movie player as well. Why yes, I did just describe most every hand held device. Including the mega popular iOS devices from Apple. So Sony really needed to knock this out of the park, and they haven’t. So far, the only “cool” feature is being able to remote into my PS4 and play PS4 games on the screen. Of course, this is only good up to about 40 feet, then the connection lags to the point of being unplayable. And there are some Vita exclusive games that are worth it. Uncharted: The Golden Abyss and Assassin’s Creed: Liberation are fantastic. In fact, if you are a PlayStation Plus subscriber you can get Uncharted for free right now. So the one thing that sets the Vita apart from every smart phone and tablet are the games. The problem is that no developer will touch the damn thing because it is not selling. 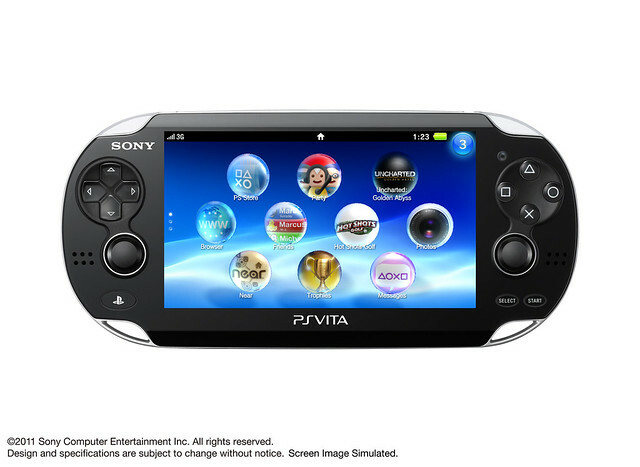 However you can download every Vita game via the PlayStation Store, and also a large selection of PSP and PSOne games. That is awesome. But it also shows another weakness of the Vita. Storage. Then there is the game pricing. Every Vita game costs the same as the retail counterpart. Plus, you have to have space to download it. So what is the advantage to downloading a Vita game? There is none. If I am being asked to pay the full retail prince of $39.99 for a Vita game, I am better off to buy the thing and not have to give up precious storage. And that brings me back to the PlayStation Plus membership. Sony does give members tremendous discounts and even free games, but then you have to have space. It’s a benefit that is hard to enjoy on the Vita. I doubt I will see any more MUST HAVE games for the Vita. It is going to die, like the PSP before it. It’s a shame, because having a portable Playstation is a cool idea. I would like to point out that the Vita was a Christmas gift last year from my lovely wife, who just didn’t know any better.